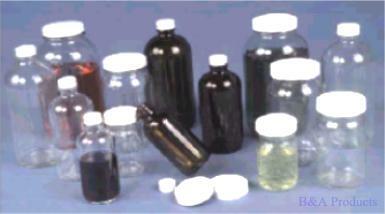 High quality glass containers for high-purity products or long-term storage. All styles available with metal caps, plastic caps or without caps. Boston Round Bottles have narrow neck for easy pouring. Choice of clear Clear or amber glass. Economy Jars are clear Clear glass, have tapered sides and wide mouth for easy filling and sample retrieval.